Curious to know what's happening at Pono? Read on! Hairstylist Noemi Cipri from Astor Place Hairstylists visited Pono and discussed her career path. She told how she left a successful job as a simultaneous Italian/German interpreter to pursue her dream of becoming a stylist. 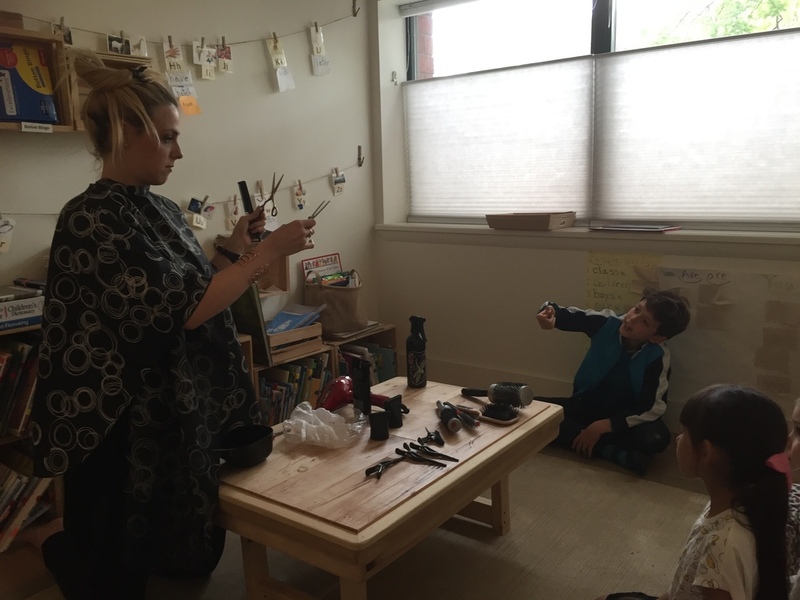 Noemi explained the education and training required to become a hairstylist and urged the children to follow their dreams, while always striving to do their best. The children learned about the tools of her trade and later Noemi demonstrated her haircutting technique by giving Kate a trim! Noemi also invited the children to style each other's hair. We saw several creative new looks! 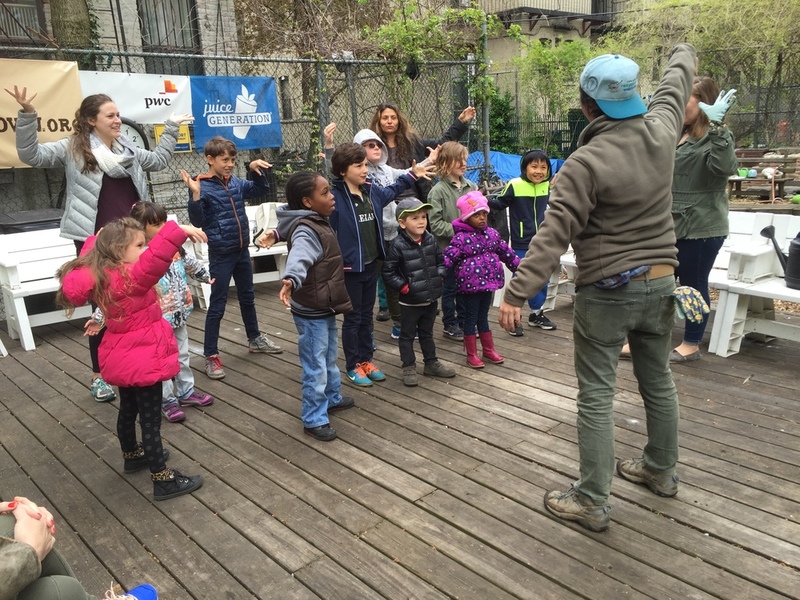 It was spring training in Marcus Garvey Park this week! Jon Burgos explained the basics of baseball, and the children took turnings batting and fielding. Batter up! Aziza from Def Dance Jam Workshop returned for another engaging and energetic lesson in American Sign Language. The children can now quickly sign the alphabet, their names, and how they are feeling. They can even solve signed math problems! This week in science the older children finished identifying the rodent bones they uncovered when they dissected owl pellets last week. Dr. A then asked them to arrange the bones. Skeletal forms soon took shape as the children glued the bones to construction paper. Dr. A and our younger Pono friends showed lots of backbone as they learned about vertebrates. Ali led the older children in singing scales and playing notes on their recorders. They practiced harmonizing and blended their voices in an Indian folk song about playing the flute. Salma led our young Pono friends in creative movement. They are always finding new ways to move through the Pono space! 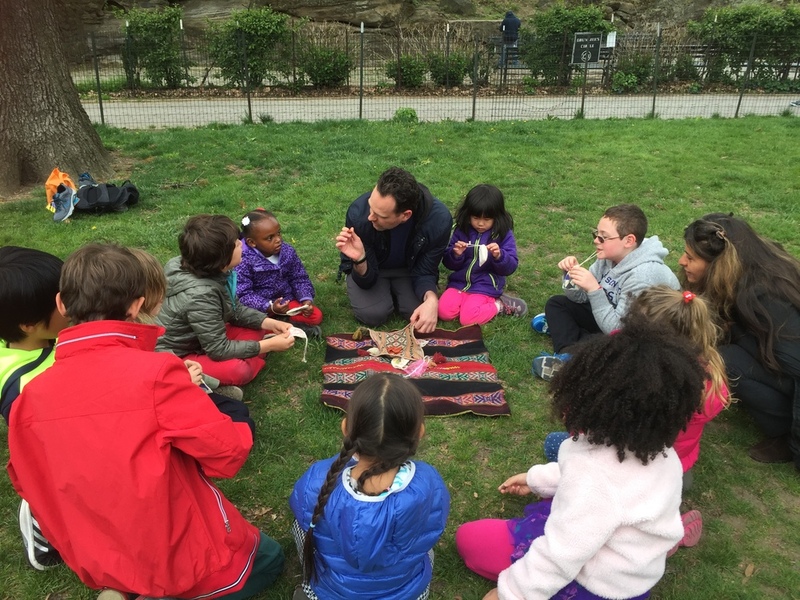 Pono parent and yoga instructor Eric Stoneberg returned for another yoga session in Marcus Garvey Park. 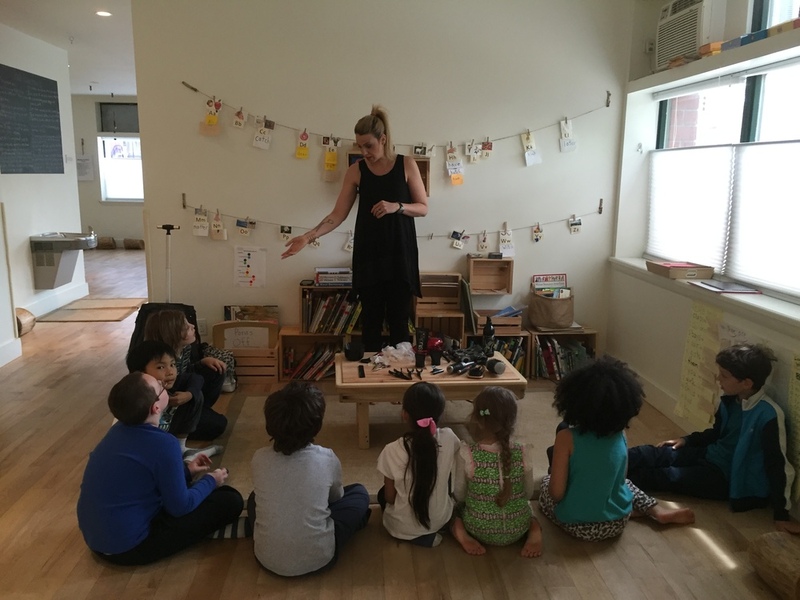 He guided the children to explore movements that can make them feel more grounded. 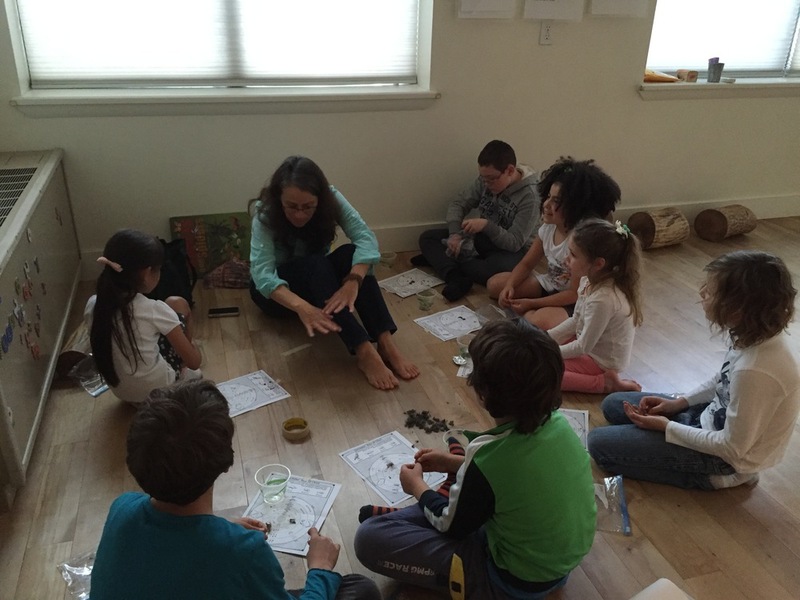 Art historian Meglena Zapreva spoke with the older children about Greek mythology. She gave them some background on ancient Greece and enthralled them with stories of Zeus and Athena. Meow! Ali and our young Pono friends transformed brown paper bags into adorable cat puppets. Ali and our youngest Pono friends traveled back in time to learn about dinosaurs and then painted colorful versions of these fascinating creatures. 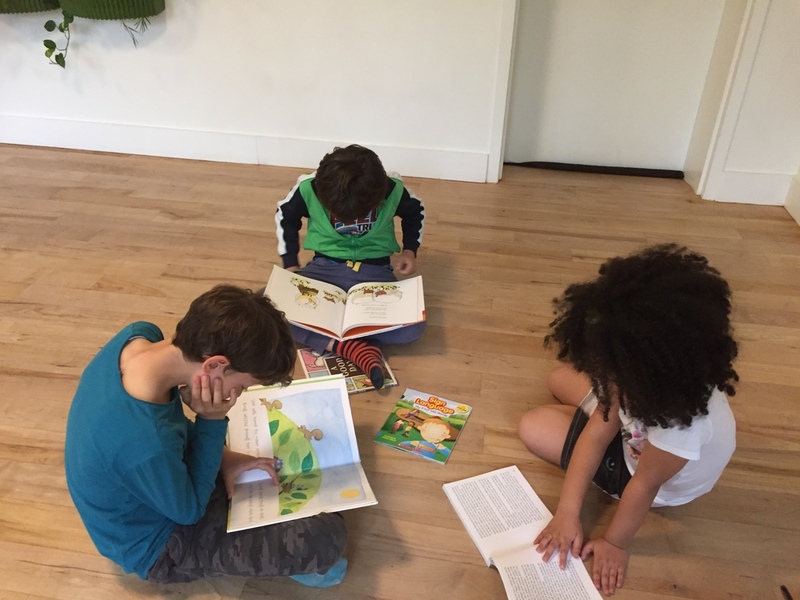 This week in literacy with Julietta, children in one group finished their One, Two, Three, Four book and played three words games with new sight words come, where, and they. The other group finished reading Catwings and decided to read the next book in the series. Some of the children finished writing their nonfiction pieces, while others continue to work on them during individual literacy time. They all incorporated further word study from their practice books into their written pieces. As always, there was time throughout the week for individual literacy time. This week in math with Maysaa, some of the children explored the relationship between pairing and doubling, while instructor David D'Alessio worked with some of the older children on measurement and area. The older children are working on a kindness project to assist people experiencing homelessness in New York City. This week they worked on designing a box that would hold information on resources available to those in need. Deb and Kate invited some of our young Pono friends to Marcus Garvey Park for T-Ball. They practiced with the batting tee, but after a few rounds were ready to bat without it! 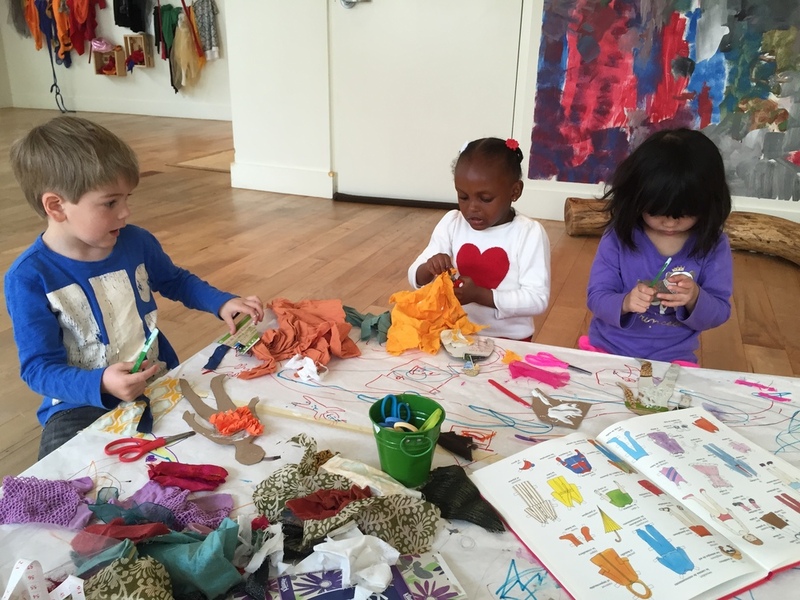 Kate and the young Pono friends talked about la ropa (clothing) this week and made colorful outfits out of fabric scraps for paper dolls. Our young Pono friends drew colorful pictures in their nature journals to record what they observed during outdoor time in Marcus Garvey Park. 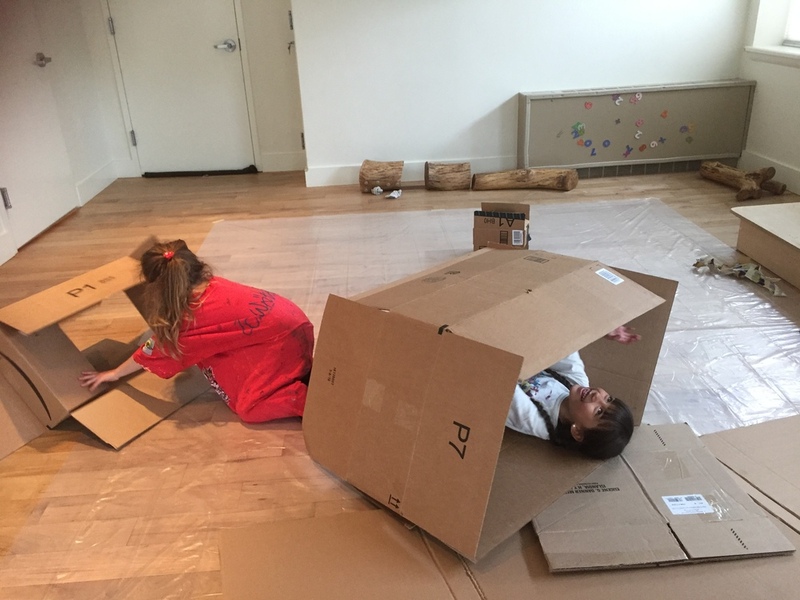 Throughout the week, the Pono children shared games, stories, and imaginative play with their friends. This Wednesday we enjoyed two field trips! 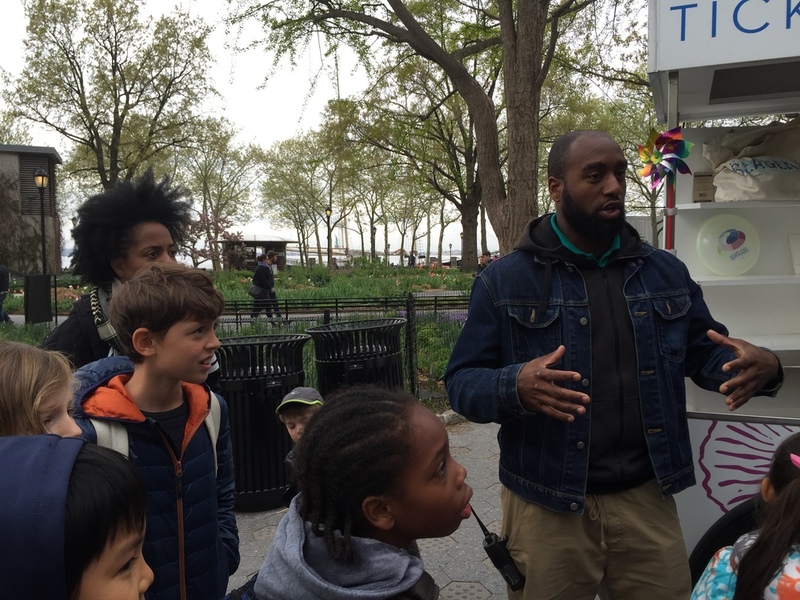 We started off with a visit to our neighborhood urban farm, Harlem Grown. 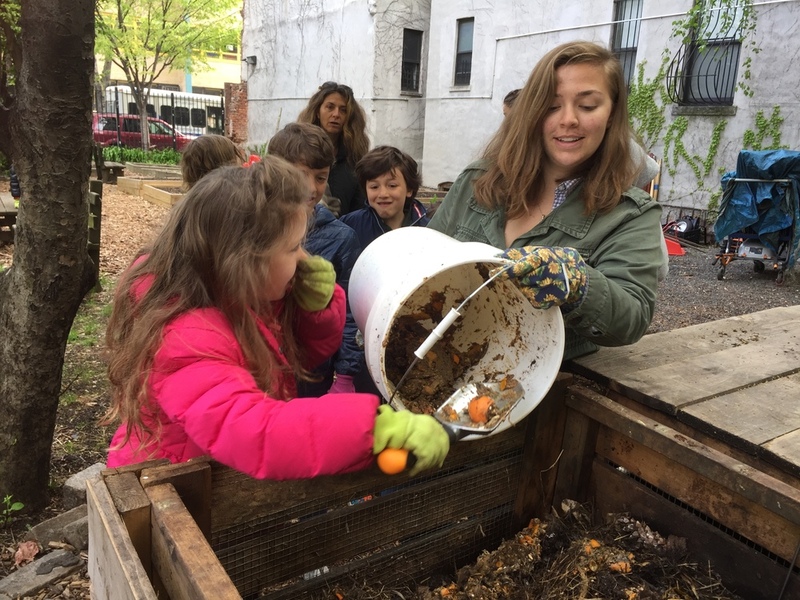 Farmer Ciara Sidell ("Farmer C") and FoodCorps service member Abbe Lentz taught us some composting math. Did you know it takes one bucket of nitrogen (food) to three buckets of carbon (dead leaves, hay, etc.) to make compost? Then the children all took turns adding nitrogen to the farm's compost. 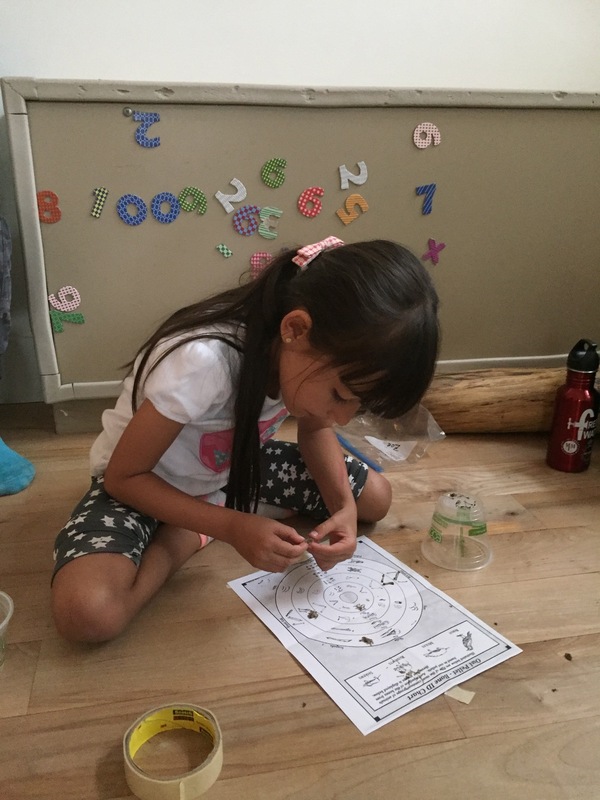 Later, the children examined compost closely with magnifying glasses, and several students were excited to discover red wiggler worms! 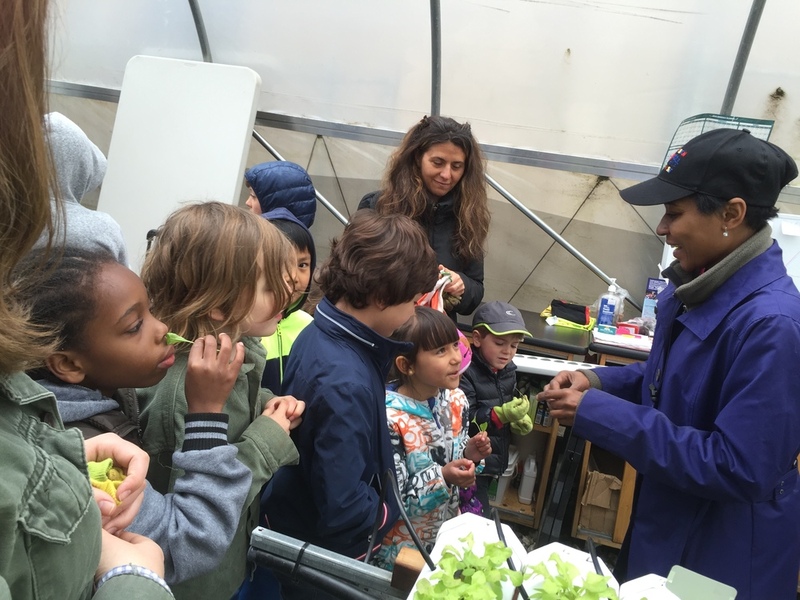 We also visited the farm's hydroponic greenhouse, where we met with greenhouse manager Latonya Assanah, who gave us samples of delicious freshly grown arugula. And we had time to speak with Harlem Grown's founder, Tony Hillery. 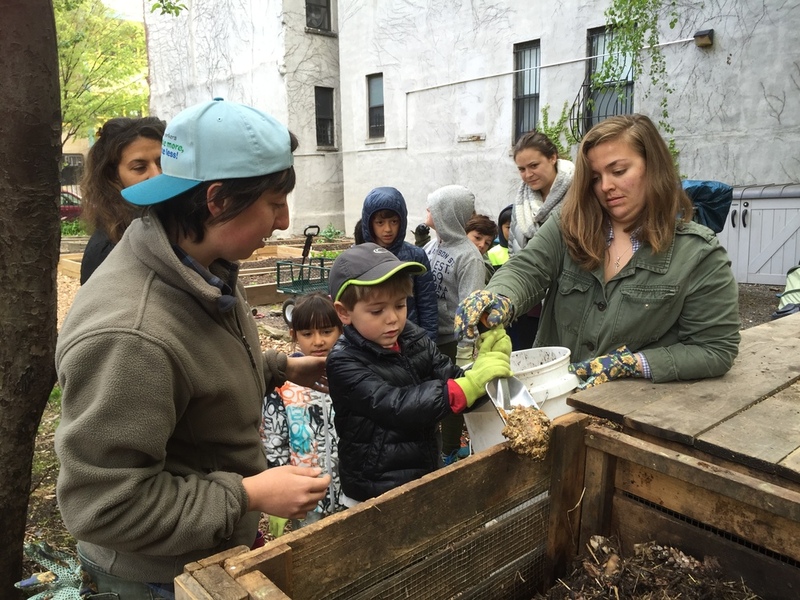 We're happy to see Harlem growing green! 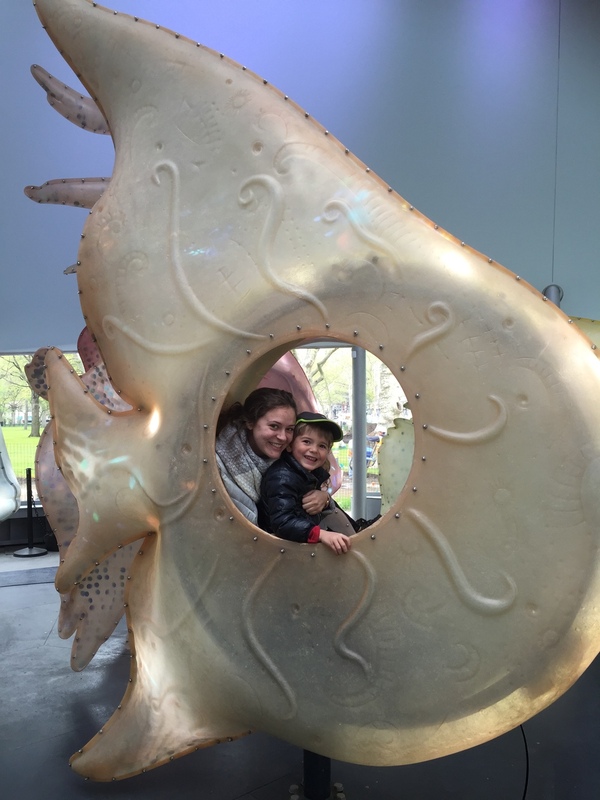 For our second trip, we headed downtown to ride on the whimsical Seaglass Carousel at the Battery Conservancy. Park manager Daeshawn Grimes answered our questions about the aquatic-themed carousel and gifted us with a Frisbee, which we put to good use later in the afternoon. The carousel features 30 "bioluminescent" fiberglass fish that glow with LED lights. The sea creatures glide to music through the pavilion, which resembles a chambered nautilus. 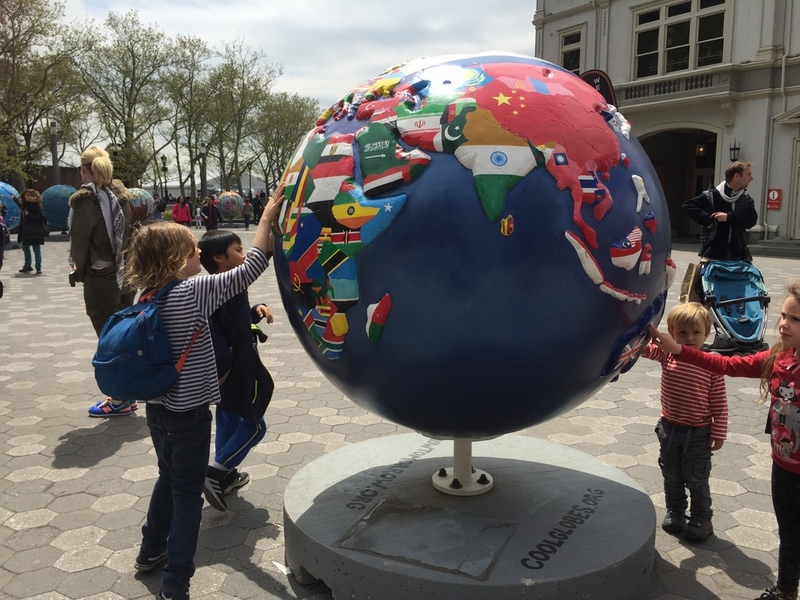 After lunch on the waterfront, we explored the exhibit "Cool Globes: Hot Ideas for a Cooler Planet," which raises awareness about global warming. 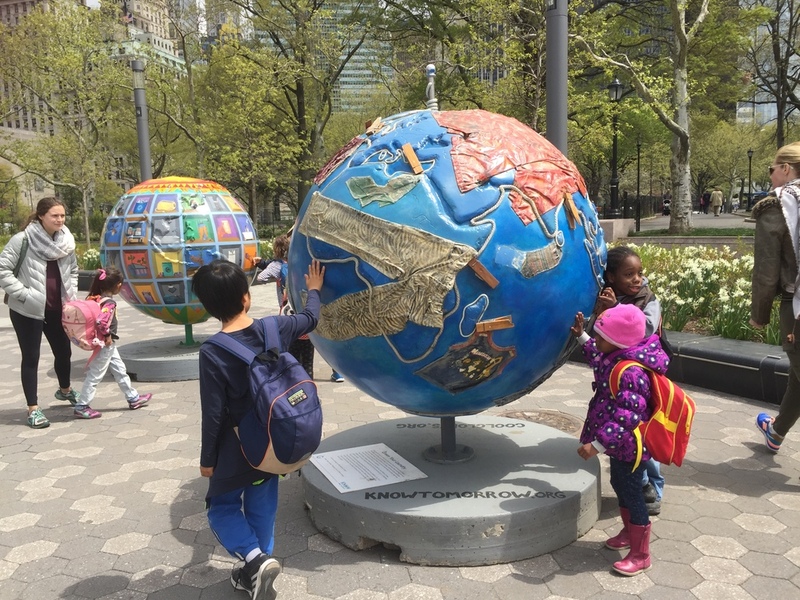 We also had time for outdoor play and fantastic views of the Statue of Liberty in Wagner Park. And we all sang "Happy Birthday" to Pono friend Matteo, who was celebrating his special day! Our comic book group had only three superheroes on site this week, but they managed to make a big dent in their mission with Julietta. Their imaginations really ran away with them and just a few chapters remain before they reach their destination! Meanwhile, creativity bloomed as Poppy Luca and the songwriting group constructed and began painting a large mushroom. The possibilities for a cardboard box are endless! Several of the committee chairs met this week and discussed updates to our fundraising, special events and projects, and recruitment. We're looking forward to all that lies ahead for Pono!